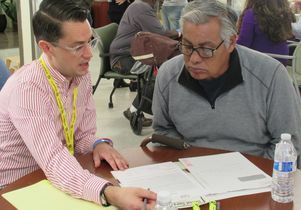 UCLA Law student Ian Grady advises a veteran as part of the Veterans Legal Clinic. Growing up with a parent who had served in the military during the Vietnam War era, UCLA School of Law student Ian Grady, learned the value of service to country — and to one’s fellow person. Now at UCLA Law, Grady is putting that experience into action through a new UCLA Law clinic that offers essential legal assistance to vulnerable military veterans in Southern California. 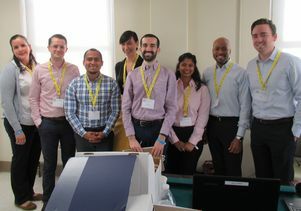 Located at the Department of Veterans Affairs campus in West Los Angeles, the Veterans Legal Clinic, which opened in August, allows UCLA Law students to help veterans gain access to benefits and address criminal justice issues in order to enhance their opportunities for jobs, housing and stability. The clinic is also a key building block in students’ development as advocates, says clinic director Sunita Patel, an associate professor at UCLA Law. It allows them to explore client-centered approaches to representation and critical race theory in a real-world setting. Patel joined UCLA Law in 2017, after teaching and litigating at American University Washington College of Law, the Center for Constitutional Rights and elsewhere. The clinic’s co-director is Will Watts, a former DLA Piper partner who directed the Homelessness Prevention Law Project at Public Counsel in Los Angeles before joining UCLA Law in 2017. 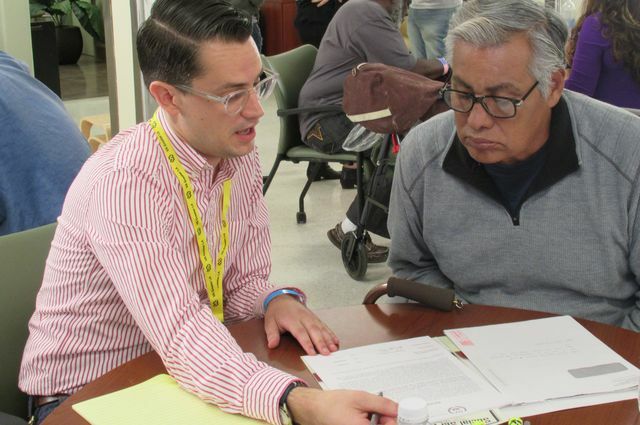 On Oct. 27, Patel, Watts and students were part of a hive of activity at the VA during Stand Down, an annual event in which dozens of organizations that provide everything from meals to job leads gather in one place to serve veterans. Inside VA Building 257, students interviewed potential clients and provided information under the watchful eyes of Patel and Watts. The clinic is among the latest offerings in the law school’s trailblazing, four-decade-old experiential program, which also includes new programs in immigration and documentary film as well as existing programs in human rights law, Supreme Court advocacy, patent law and support for a variety of disenfranchised communities and people. 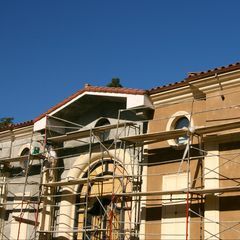 It is also part of UCLA’s 10-year, $16.5 million commitment to provide new programs and support services at the VA in West L.A.